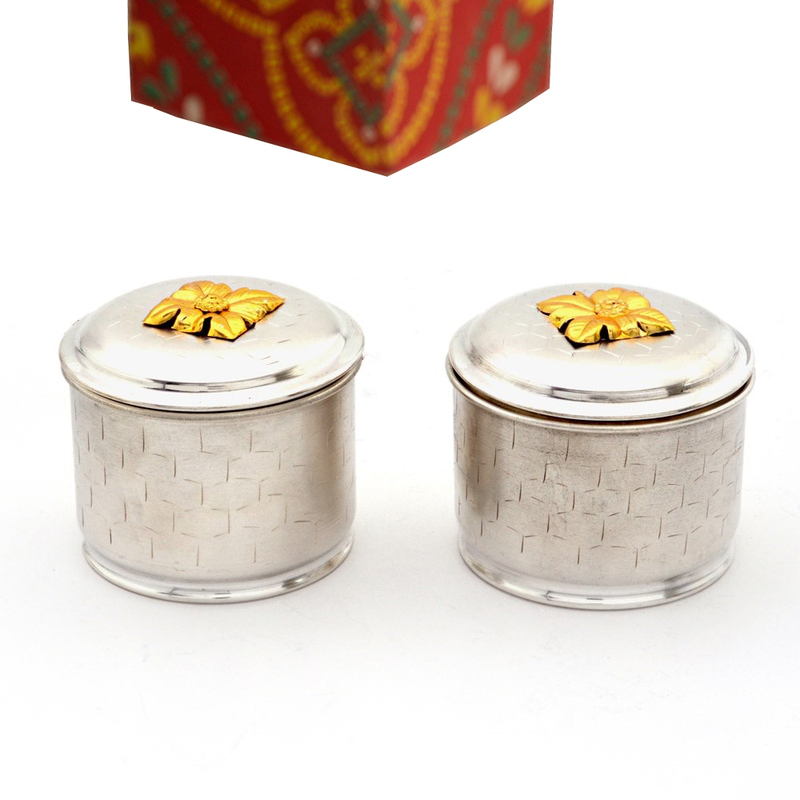 The German Silver Dibbi with Butterfly Motif on Lid features an incredibly beautiful butterfly design on its lid, which serves as its most eye-catching attribute, Read More..and is sure to find favor among lovers of such mesmerizing design work. This container is right for keeping various household knickknacks, and even dry fruits, which goes to show its extreme versatility in terms of functional use. The golden hue of the butterfly motif complements the silver background of the body of this Dibbi to make it pleasant to the eyes. Show Less..